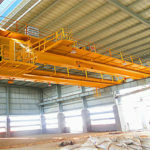 Foundry overhead crane has many advantages with good performance and strong performance. It is widely used in the harsh environment such as in the heat and high dust server environment. In addition, the bridge crane is comprised of bridge, trolley and crab travelling systems, electrical equipment, etc. There are different operation methods which the customers can choose for. Generally speaking, the operation process can be finished in the cabin, which help the operator have good and wide vision. If the machine has in trouble, users can quickly find out problems. If the operator want to add the remote controlling, we can meet your requirements. In order to ensure the workers’ safety, the remote controlling can reasonably enhance the entire working ability safety and reliability. If you want to add other equipment, we will adopt the reasonable suggestion. Our products are the best choice for the every crane customer. Casting European cranes have many characteristics in use, which can ensure the normal and safe use of the casting machine. Highly reliable. This type of bridge crane is specially used for lifting molten steel and hot molten iron. Therefore, it is very important to ensure its safety when using it. If it is not small, the consequences are unimaginable. Therefore, several safety devices are installed on its main engine lift structure to ensure that it is absolutely safe during use. 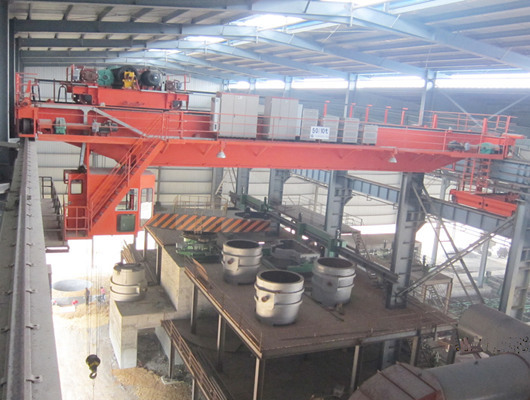 Stable operation Because converter steel making requires continuous operation of the casting crane, the converter steel making efficiency is particularly high, and the cycle is very short. 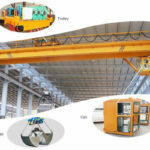 Therefore, the requirements for the crane are also very strict, if the crane is not rigid and the quality is very poor. Machine parts and electrical components can easily cause problems. If the converter is shut down due to a machine accident, the damage caused by this is very large, so it is necessary to ensure the quality and ensure that the machine can operate safely and stably every day. It is convenient to repair the maintenance of cast European cranes. If there is a problem in the machine, it will affect the production volume of the entire steel making workshop. In order to minimize some adverse effects on production, it is necessary to carry out convenience. Fast repairs. 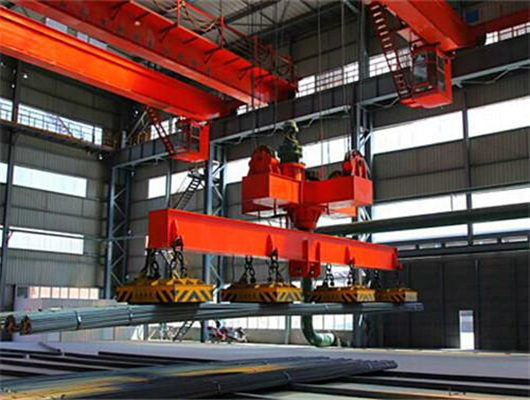 There are two types with QDY foundry and YZ foundry overhead crane in our company. 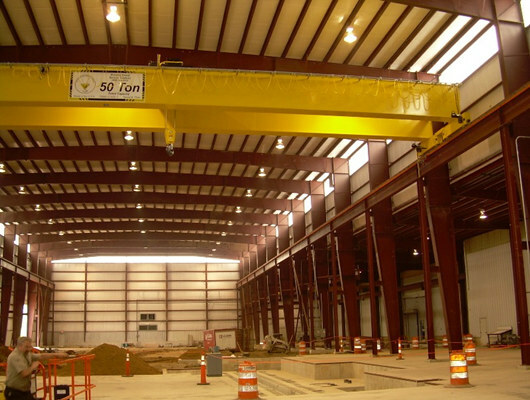 These overhead crane is mainly used in lifting and continuous casting process. the crane has light duty and heavy duty model. So if the customers want to order or purchase the larger tonnage, we can provide them the professional products. We will supply excellent service for clients. According to the convenient transport, as the leading manufacturer and supplier, we have the larger superiority. You can choose the best condition. 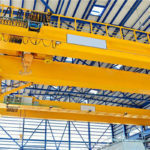 Customers can save more money to invest in other lifting equipment. Of course, we will provide the customers with reasonable price. No matter what your order is larger or small, we will give you the reasonable discount. 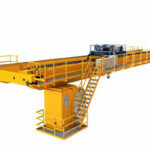 Some types of bridge crane has the hook which help the operator quickly finish the working tasks. If you want to add other equipment, we can install the necessary devices according to the customers’ requirements. Of course, according to different demands, there are different types with one hook or two hooks. In order to ensure your need, you can describe the working environment and spaces. In addition, you need to the machine which handle the various materials. The customers can learn the main dimensions and Max. Wheel loading according to technical specification. The power supply adopts the 3-phase A.C.50HZ 380V. 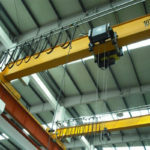 the power and crane rail recommended can give more more information about foundry overhead crane with hook. 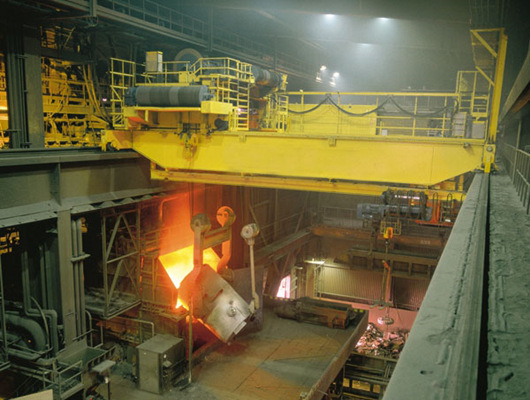 QDY foundry crane is used in harsh environment and lifting molten metal frequently with high working duty. The crane of type can be designed with different tons and models. If the customers choose the span and the weight, we can provide them the high quality products. For example, we have the technical specifications which can help the users explain the specific details. There are from 5 ton to 10 ton cranes, and 20 ton bridge crane in our company. If you want to customize the special lifting equipment, we can help users do the non-standard design according to the national standard. The lifting height has different meters. the crab travelling and trolley travelling mechanisms can enhance the working process. Some types about crane has the main and auxiliary hooks which load and unload the various materials. 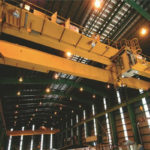 Foundry overhead crane is the main equipment of steel making and casting process. All in all, it can be divided into three methods with double girders and double tracks, four girders and four tracks, four girders and and six tracks, etc. These types belongs to different tons. 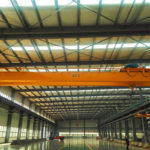 If the customers want to customize the their overhead travelling crane, we can help the clients do the non-standard design. Of course, the YZ foundry overhead crane has novel structure, advanced technology, safety and reliability. 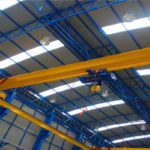 In addition, compared to the traditional overhead travelling crane, it has light weight and strong performance. Casting crane can supply the various choices for customers. There are many choices with rotary spreader, the gantry hook from the variable and loading weighing and display. In addition, the crane is economical and durable. 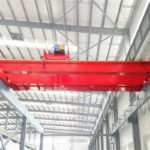 Our company is the lifting equipment manufacturer with several decades’ years of experience, mainly engaged in European cranes, cantilever cranes, single and double girder bridge cranes, gantry cranes, hydraulic cranes, intelligent cranes and various non-standard cranes, etc. If the customers want to learn more details, you can come for free consultation.